Warhammer 40,000 has provided some pretty amazing gaming experiences, from the excellent Dawn of War series to the brutal Space Marine game. Developer Hammerfall has taken an interesting route with their handling of the IP, though, and has created a variant of chess more akin to XCOM than the board game. Dubbed “Regicide,” Hammerfall seeks to create a strategic, methodical experience, while keeping all the visceral glee of Space Marines and Orks clashing on barren, wasted planets. 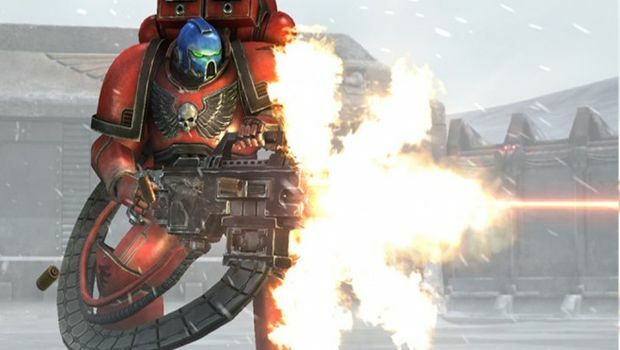 It’s only in Early Access right now, but Warhammer 40,000: Regicide is already shaping up to be a really interesting experience for newcomers and vets alike. The title puts a fresh take on chess while keeping a lot of the traditional mechanics of the game, and that makes for a really cool meld of old-school strategy and new ideas. I played through a few games in the video below, and found myself falling prey to enemy fire fairly often, forgetting that capturing isn’t the only way to eliminate a piece from the board. Check out the video and leave your thoughts below, as we follow Regicide all the way up to its full release on Steam!